Killerspin Jet 800 N1 Review - Conquer the Playing Field Today! 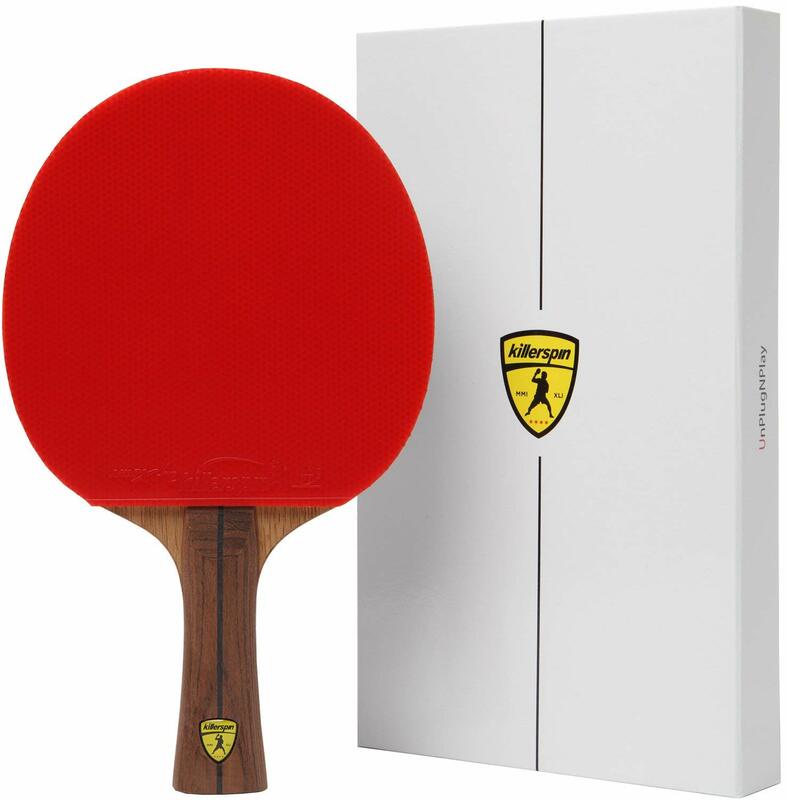 Serious table tennis players need a serious paddle. For a high-quality paddle, look no further than the Killerspin Jet 800. Though they’re a relatively new company, Killerspin is making big waves with some seriously pro paddles. If you’re in the market for a quality paddle that’s ready for real competition, here’s what you need to know about the Killerspin Jet 800. The Jet 800 is worth it for advanced and competitive players. This paddle is fast and has good spin and control. The all wood and carbon fiber build looks good and provides good response during play. If getting a competitive edge with your table tennis club or other competition is on your to-do list, then this paddle is worth a look. Killerspin’s competitive paddles are quickly gaining popularity with experienced players. But, if you’re just looking for a paddle to play with the kids in the basement, a more affordable paddle might be worth a look. Who Is the Killerspin Jet 800 For? This is a high-end table tennis paddle. The price positions it at a level that’s competitive with other serious paddles, but above the price point of an average paddle. One of the best features of this paddle is the Nitrx-4z 2.0 mm rubbers. The ITTF approved red and black rubber helps this paddle generate a lot of power while keeping a high level of control and excellent spin characteristics. The seven-ply construction of the paddle, including carbon fiber and composite wood, add to this paddle’s responsiveness and power. The Jet 800’s handle also has a flared shape that helps enhance grip and control when competing. The wooden side tape covering the paddle’s edge helps protect the paddle and preserve energy while increasing overall power. The laminated wood and carbon fiber design of the Jet 800 make it very durable. The wood tape on the edges of the paddle really caps the design off, adding to durability and power. The higher quality rubber adds to the overall reliability of this paddle too. While the handle is a fairly simple design, the flared shape gives players a good grip and control. The basic design also ensures that it’s a good fit for most hands. The Killerspin Jet 800 is a serious table tennis paddle made for experienced club players and competitors. With quality wood and carbon fiber laminations, the Jet 800 is well made and ready for competition. Because of this, the Jet 800 isn’t cheap. Be prepared to spend close to $100 if you’re in the market for this paddle. Like we stated above, the Jet 800 is a serious racket. It’s not designed for the average basement ping pong match, and probably isn’t something you want to turn your kids loose with. Coming in a quality carrying case, this paddle is made for competition level players who want to up their game with the local club or move up to higher levels of table tennis play. While a beginner or less experienced player could definitely play with the Jet 800, you really need to understand how to serve and return the ball well in order to take full advantage of this racket’s power and spin capabilities. The Jet 800 is a great paddle for the experienced player looking to take their table tennis game up a few notches. This paddle has good power and control and appears to have good quality overall with mostly wood construction and a few layers of carbon fiber worked in for added stability. The Nitrx-4z rubber is also of a good quality that experienced payers will appreciate. Wood strip tape on the edge of the paddle really rounds out the build quality. The handle is a pretty simple flared design that should appeal to most players but may be a bit of a let down for anyone looking for something a little more ergonomic. As great as the Jet 800 is, it’s not for everyone. If you’re a newer player or just looking for a more basic paddle that’s a cut above most inexpensive table tennis rackets, check out Killerspin’s Jet 200. This paddle has a five-ply wood construction and a simple rubber coating. Speed is rated a bit lower than the Jet 800, but control is excellent, making this a good option for players who would benefit from some added control. Another option worth considering is the Stiga Titan. This reasonably priced paddle also has five-ply construction that takes advantage of lightweight balsa wood. 2mm rubber provides good speed and control. But, if you’re ready for a more advanced paddle, check out the Killerspin Jet 800 today.